Soon we'll be publishing our Complete Corporate Wellness Manager Guide, a step-by-step introduction to all things office fitness. In the meantime, contact our Corporate Wellness Solutions Specialists at corporatesolutions@imovr.com. 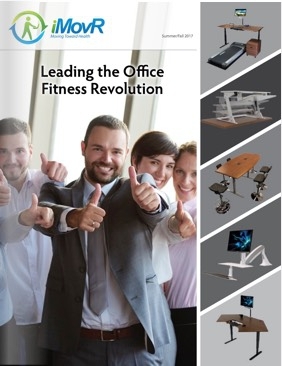 They'll walk you through all you need to know about equipping your employees with active workstations. And if you just can't wait, get a head start perusing our catalog now!